We’re happy to say that we’re doing a New Year’s Eve banquet again at the Ffarm this year. Space is limited – we’re doing just one sitting with a maximum of 8 tables. Early booking is therefore essential. The 8 courses will be spread through the evening as before so there will be plenty of time to soak up the ambience of the Ffarm at New Year. 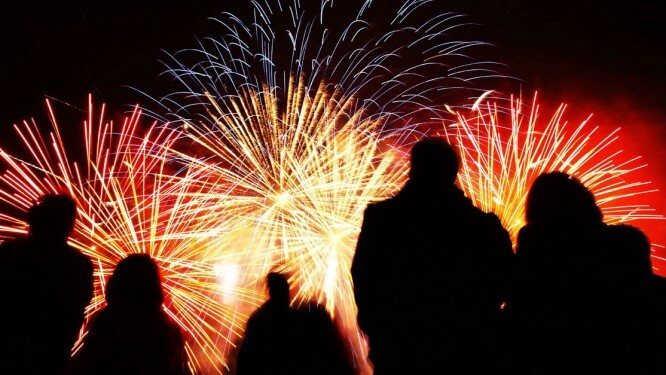 To close the evening off there will be the usual Ffarm Fireworks and a glass of bubbly. Please see the Ffarm Food page of our website for details of the menu. The price is £50 per person.